We are truly lucky to live in a region that affords a range of lifestyle opportunities, from sweeping waterfront residences and mountain lodges to luxurious in-city penthouses, historic estates and beyond. 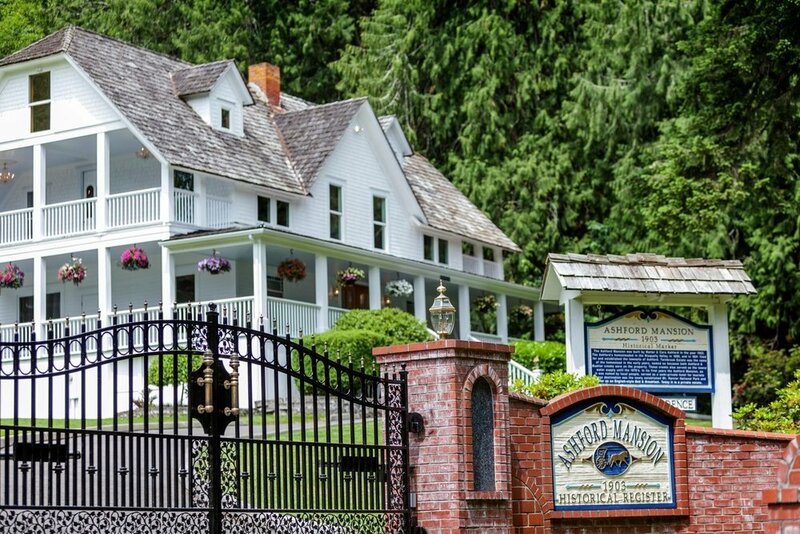 To celebrate Washington state and its distinguished homes, we tapped Janet Beeby, a certified sommelier, wine writer and wine educator, to pair a collection of our most stellar listings with the perfect wines. From the full body of a Napa Cabernet Sauvignon to the light and bright notes of a Greek Assyrtiko, grab your corkscrew and a couple of glasses, and take a sip of our property pairings. Santorini is a place of great history and beauty, where whitewashed, blue-roofed houses accompany sparkling water, and where Assyrtiko is at its very best. Assyrtiko is a lean and breezy wine with notes of lemon, flint and passion fruit. Every tangy sip is bright and leaves a light, bitter saltiness on the finish that pairs perfectly with lapping waves and the relaxing feeling that comes when you unwind, exhale and let your toes sink into the sand. A stunning Northwest Contemporary main home with strong Frank Lloyd Wright influences sited on 118 fabulous acres, Cormorant Bay Estate provides the ultimate beach lifestyle with irreplaceable deep moorage docking and a grandfathered private cove and beach. A fine horse and a fine wine both find their beauty and strength in balance. Washington State Merlot is a smooth, silky and concentrated wine that is often fruitier than its French equivalents. The rich flavors of plum and black currant in each and every sip find perfect harmony with textured and astringent tannins, mouthwatering acidity and notes of cedar, leather, vanilla and clove. This wine will pair beautifully with striving for—and achieving—excellence. 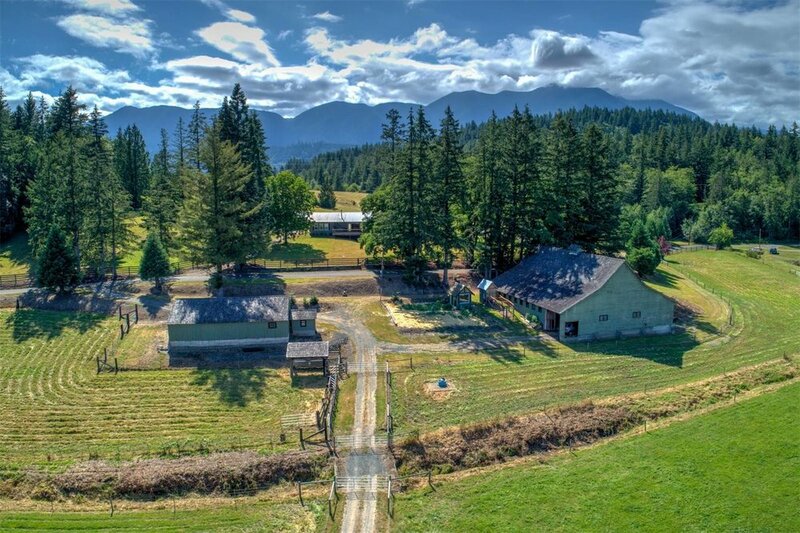 A one-of-a-kind ranch at the doorstep of Olympic National Park, Sequoia Ranch is primed to meet any equestrian need with fifteen acres dedicated to 5 separate pastures with 4 automatic watering troughs (2 with loafing sheds) while twenty-eight acres afford hay production. California’s Napa County has a long heritage of pioneers and ranchers who raised livestock and tended the fruit orchards that once stood where acres of vineyards now produce some of the world’s finest wine grapes. Napa Cabernet Sauvignon is an iconic wine with lush and layered notes of black pepper, black cherry, tobacco, licorice and vanilla. This structured wine pairs well with the legacy of the land and our commitment to it. Grandview Mountain Ranch offers a mile of Palmer Lake waterfront with 1,570 acres of pristine land that includes an 820-acre lowland section, 750 upland acres, a 2,000 square foot ranch house, a hay barn, 7 upland game birds, two shops and more. Flight is a triumph of human ingenuity, a thrilling achievement that pairs well with a soaring and prestigious wine. The region of Piedmont is located in the northwest corner of the Italian peninsula, and is known for the production of excellent wines. Among the most famous of these is Barolo, often called “the king of wines and the wine of kings.” This royal wine is made from the Nebbiolo grape, and each luxurious sip is a surprise on the tongue. With astringent tannins, high acidity and notes of rose petal, raspberry, cherry and white pepper, it is sure to have your head in the clouds and the ground far below you. Fly onto a remarkable piece of high-bank waterfront property perched on the bluff of Woodway shores with a home built to frame breathtaking views of the Sound to provide a relaxing, tranquil atmosphere that feels miles away from it all yet remains minutes from Seattle. A hole in one is the magic of luck and skill coming together in one, decisive moment. Whether raising a glass in celebration or consolation, there is no ace better than Champagne. Champagne is a luxury without match, whether enjoying a day on the greens or just enjoying the view. This creamy wine is bottled under high pressure and the bubble mousse is fine and persistent. Notes of almond, toast and citrus are sure to help you enjoy the nineteenth hole in style. This impeccably maintained home at China Creek combines luxury details with a flowing floor plan and high-end finishes, stunning views of the Bellevue skyline, and seamless access for teeing off at the top-rated Golf Club at Newcastle. The wines of Bordeaux have a long and distinguished history, dating back to Roman times, when the first vineyards were planted. It is, without a doubt, one of the world’s most important and storied wine regions. On the Left Bank of Bordeaux, hundreds of traditional châteaux produce powerful Cabernet Sauvignon-based wines of breathtaking quality. These wines are bold, tannic, rich and structured with notes of black plum, tobacco, cedar, graphite and violet. Bordeaux pairs well with an appreciation for the finer things in life, and the belief that history is one of them. A stately 1903 residence built in the Colonial-Revival style, Ashford Mansion is on the national register for historic places and offers a park-like setting six miles from Mount Rainier National Park with wrap-around porches, coffered ceilings, crystal chandeliers and more. A fire is crackling in the fireplace and snow-capped peaks are perfectly framed through your window as you unwind from your epic day on the slopes. Nothing pairs better with this scene than a glass of fine Tawny Port. This Portuguese, fortified wine is rich in both taste and history. Tawny Port is a full-bodied and luxurious wine with notes of caramel, hazelnut, cinnamon and fig. It’s the ideal companion for cozy evenings curled up in a decadently comfortable chair with a favorite book. Wapiti Woolies has a strong reputation with Northwest outdoor enthusiasts and is a thriving retail and coffee shop near the slopes of Crystal Mountain Resort with a living space above allowing for a unique ski lifestyle opportunity. An unparalleled mountain view and the beauty of uninterrupted nature can make you feel like you’re on top of the world, not unlike Argentinian Malbec. This wine is grown in some of the highest-altitude vineyards on the planet. This beautiful wine region benefits from the cool and breezy nights found high in the Andean foothills, and it produces wines with vivid flavors, excellent acid and refined texture. Malbec is the perfect finish to a long and exhilarating day on the trail, with dry, velvety notes of black cherry, plum, mocha, leather and wild herbs. Nestled in the Methow Valley, Big Valley Ranch is a singular combination of spectacular location and thoughtful contemporary design by Prentiss Balance Wickline with meticulous attention to detail and commanding up-valley views. In the city, life pulses with steady movement, an array of architectural and cultural delight. The landscape is interesting and changing every day; your options are wide open, whether you’re attending the theater, dining at a new gourmet restaurant or attending a gallery opening, all just steps from your front door. The boldness and flamboyance of Spanish Garnacha are a perfect pairing for the twinkling lights of city nights. This wine can be elegant, rich with flavors of brandied cherries, chocolate and blackberry compote, or it can be more rustic and leathery, with notes of strawberry and candied orange peel. Either way, Garnacha will help make it an evening to remember. 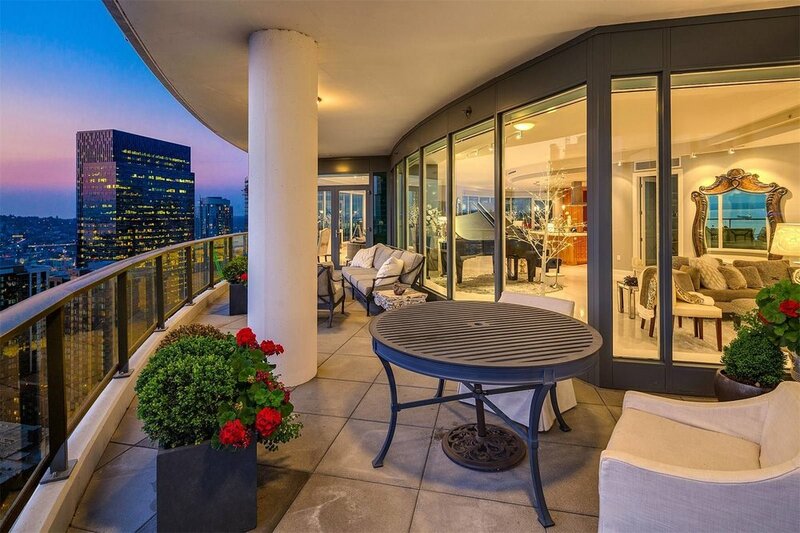 Life is truly elevated in the penthouse that inspired 50 Shades of Grey, one of Seattle’s most iconic novel and movie series, complete with walls of windows and a wraparound deck that encapsulates glimmering Emerald City views. The view is lush and infinite, and the waves curl upon the beach with a rhythmic cadence that whispers a relaxing mantra with every lulling repetition. Whether it’s the tranquility of trees waving in the breeze that lure you or the feeling of truly getting away from all the hustle and bustle, Nerello Mascalese, from the Island of Sicily, is an excellent pairing for unwinding on your own piece of island paradise. Nerello Mascalese is often compared to fine Pinot Noir. The grapes for this wine are grown on the slopes of Mount Etna and each tip of the glass will provide distinct smoky and volcanic aromas and elegant notes of raspberry and rose that pair perfectly with rest and repose. Hidden Bay Retreat offers a bounty of natural splendor from a safe and serene corner at Admiralty Island in Alaska where bald eagles soar, a dramatic tide reveals a beautiful flora of exposed marine landscapes and whales swim through the bay. A loon call echoes and mist clings to the surface of the water as the sun rises on another perfect day at the lake. The tranquility of the surroundings makes an excellent partner for the mouthwatering luxury of Okanagan Riesling. The wine region around Lake Okanagan in British Columbia is one of stunning beauty, and the wines from this northern growing area are lavish and delicious. This drier style of Riesling has notes of kiwi, lime and a toasty richness that will help you relax your shoulders and breathe deeply as you gaze across the sparkling water before you. An exquisite luxury modern estate poised at the edge of 110 feet of Lake Washington shores evokes the beauty of its natural environment with flawless execution, hand-selected walnut materials, entertaining terraces and deep-water moorage. The Côte de Beaune is the pinnacle of White Burgundy, and is home to some the most expressive vineyard land on earth. This French Chardonnay is opulent and full-bodied, with aromas of golden apple, Meyer lemon, yellow plum and truffle. Balanced and earthy, every sip of this luxurious wine will pair perfectly to the serene, lapping water found just outside your door. Côte de Beaune is thought-provoking and unique – an elegant companion to a life well-lived. This luxurious Northwest Contemporary home at the “Gateway to the San Juans” was designed with the art connoisseur in mind as luxurious appointments meet close proximity to 200 acres of recreational opportunities at nearby Washington Park. Janet Beeby is a certified sommelier, wine writer and wine educator. She holds an advanced certification through Wine and Spirits Education Trust and teaches regularly at The Pantry, a community kitchen in Seattle. In 2015, she startedPairable to show everyone just how fun and approachable wine can be. Through Pairable, Janet provides wine education, custom tastings and gatherings and expertly curated bottles. She loves pairing wine to food, but also provides more creative matchmaking by pairing bottles to people, places, occasions, holidays – you name it. She loves telling stories and introducing people to far-flung wines and winemakers.